X-ray of the human body from top to bottom. Cartoon animation of human body diagnostic. 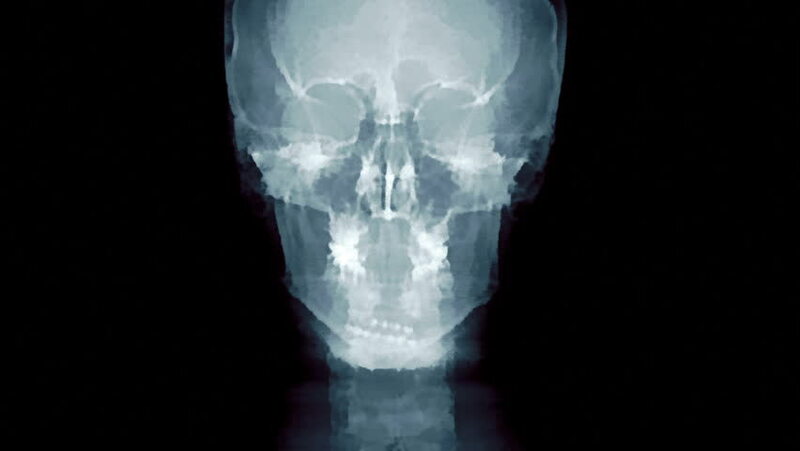 hd00:22X-rays are a type of electromagnetic radiation, just like visible light. An x-ray machine sends individual x-ray particles through the body. hd00:16A vintage light bulb, hanging from the ceiling, shines and flickers, revealing a skull.